Last Friday saw the first On the Tools Awards with an outstanding calibre of shortlisted companies who walked away a winner! View the full photos of the evening here! The inaugural event was a true testament to the amazing companies that make up the construction industry, from brands to contractors. It was an unforgettable night- and we love to relive it through the pictures of the night. 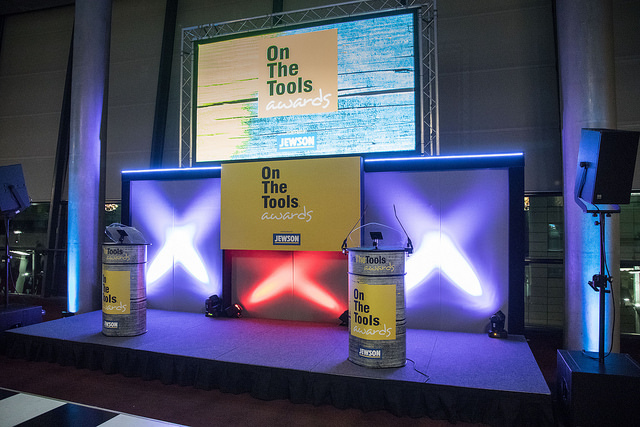 We would love to extend our fullest congratulations to everyone that joined us on Wednesday night to receive their awards – being crowned an On the Tools Award winner is a fearsome achievement and one that will continue to reward the winners in other ways. Well done to everyone who made the shortlist, and we hope that you all had an amazing evening with us at The Emirates Stadium. 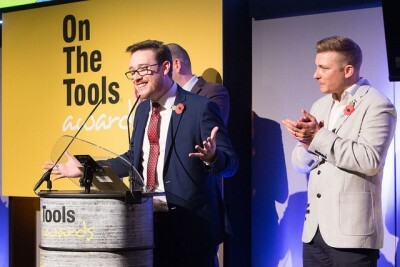 Thank you to everyone that came and made the On the Tools Awards such a memorable evening! We couldn’t have asked for a better night; it was a pleasure to work with the greatest of construction in the UK. A big thank you to our sponsors! We couldn’t achieve such an amazing awards without them! The amazing even host On the Tools who made the night as special as it was! Our headline sponsor of the night was Jewson. Our category sponsor British Gypsum & Graham Plumbers Merchant. 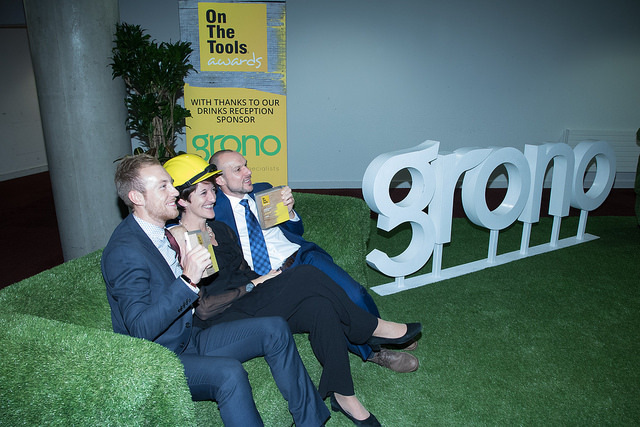 A big thank you to our drink’s reception sponsors Grono who made our reception an amazing sea of green turf! Click here to view the complete list of winners. Roll on next year!